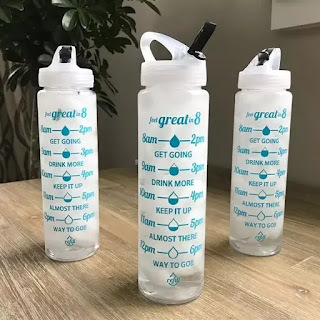 This is a great way to make sure you are getting your fill on water daily! Head over to get this 32oz Water Bottle With Straw for ONLY $9.99 (Retail $18)! 32oz Water Bottle! Drink more! Stay hydrated! Markings help you drink a full 64 ounces of water every day! To use, simply fill your water bottle to the top each morning. Drink enough water to meet each time mark as the day progresses. By 1:00 pm, fill up your bottle a second time. Keep hitting your time goals and by 7:00 pm you'll drink your 8 cups every day!